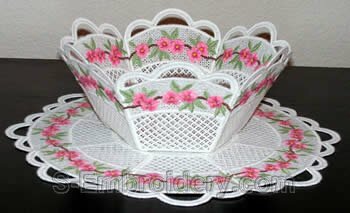 Peach blossom decorated freestanding lace bowl and doily set. 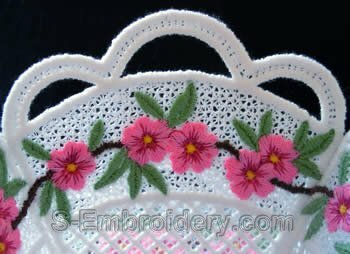 This set of machine embroidery designs consists of 2 freestanding lace bowls, 3 freestanding lace doilies and a freestanding lace box . 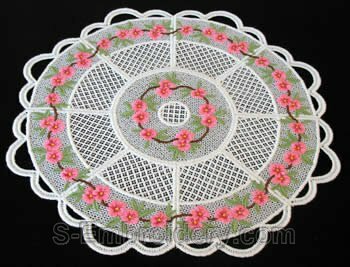 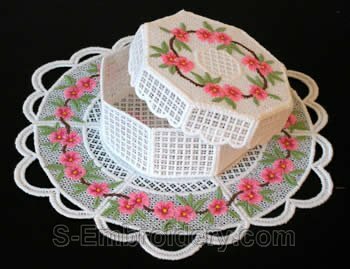 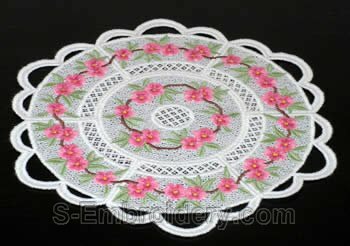 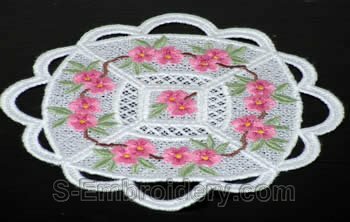 This peach blossom decorated lace doily measures 9.25 inches (23.5 cm) across. 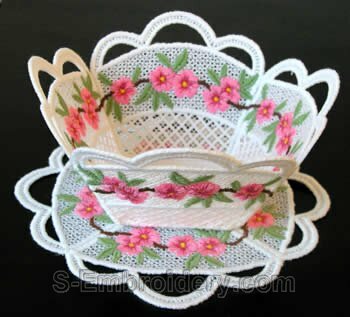 some of the best lace designs i've ever made.